Heart of Jesus in the Valley of Mezquital. but only asks a heart that holds nothing back." 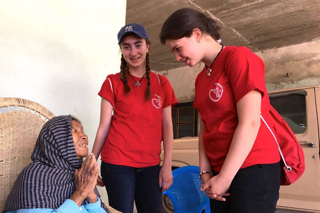 During Holy Week, families of the Sacred Heart School of Mexico, from five-year-old girls and boys up to seniors of 60 years of age, took part in the Mission Activity in the Valley of Mezquital. A group of young people searching for their vocation also joined, accompanied by Celia Salinas rscj. 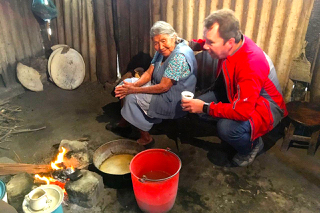 Inspired by the theme of Laudato Si’, we shared faith and life with 10 indigenous communities of the hñañu (Otomies), who are faced with significant problems such as poverty, migration, and loneliness in their older years. The hopes of these communities and the signs of life that we learned so much about were: their solidarity, generosity , communal organisation, the value of the family, and faith.